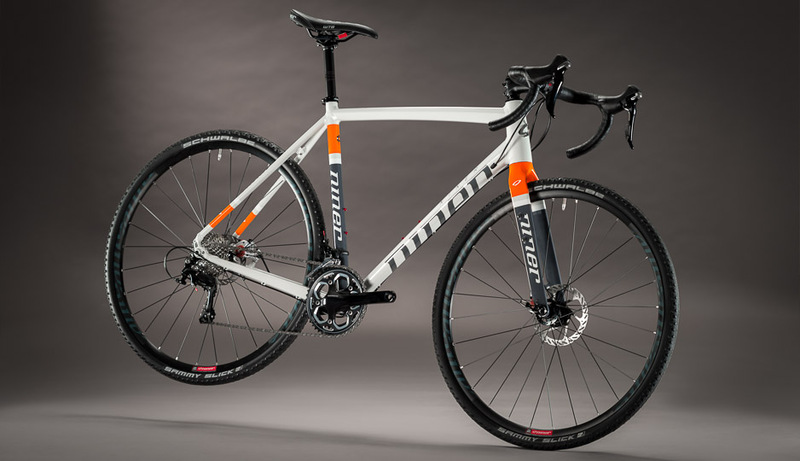 Two years ago, mountain bike company Niner released their first bike designed for roads. 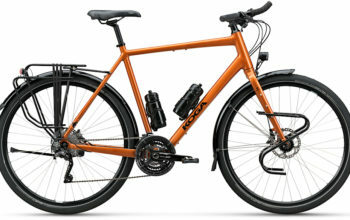 Still with the same wheel size as its mountain bike siblings, Niner called it the Road Less Travelled as its intended use is gravel and adventure road riding (2016 Niner RLT9). 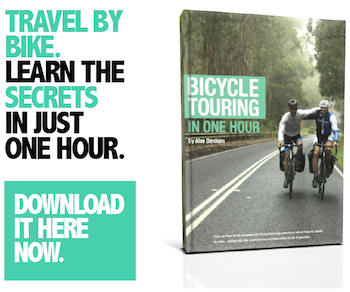 It turned out that people bought the RLT and started doing extended bike travel on it. 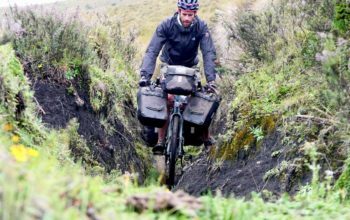 People were packing light, using bikepacking bags to carry their gear, and employing wide gravel tyres to stay comfortable over varied terrain. 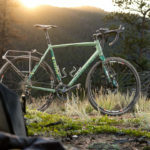 To keep up with the crowd, Niner released a steel version of the frame which tends to be the favoured frame material for long-distance bike travel. 2016 Niner RLT9 Alloy with Blackburn rack and cargo front cages. 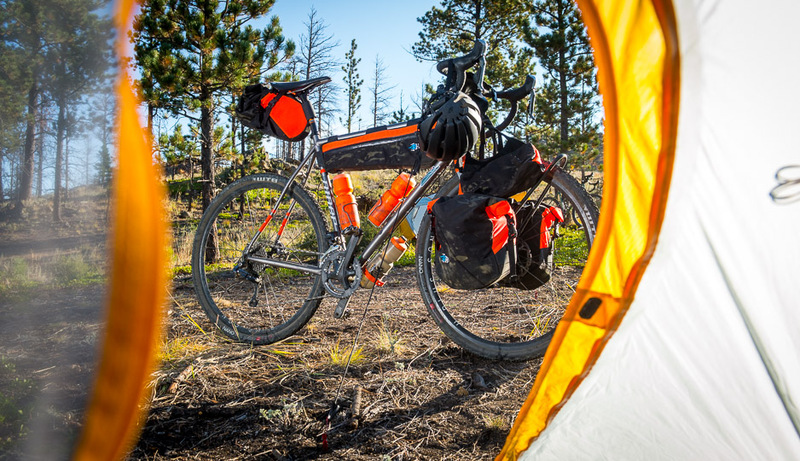 2016 Niner RLT9 Steel with a Tubus front rack and panniers. 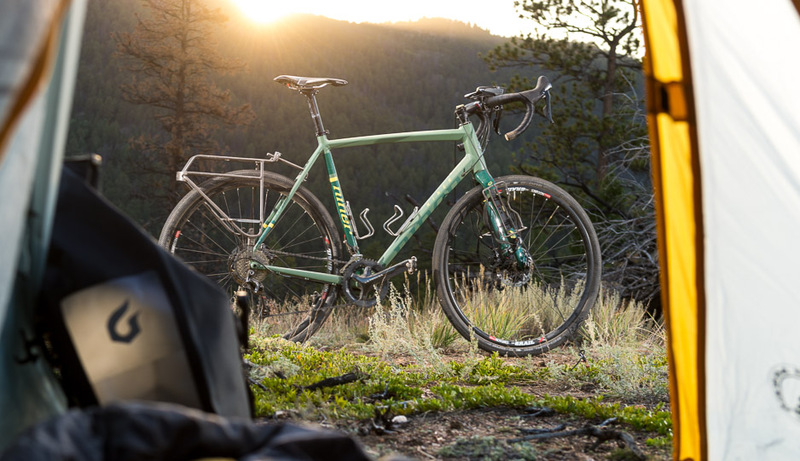 For 2016, Niner have just added a lightweight carbon fork with a 15mm axle and rack mid-mounts, permitting the use of a front rack or cargo cages. The carrying capabilities of the rear end are a bit more limited, with a single upper rack mount on the seatstay bridge along with threads at the dropout. You can find racks to fit like the Tubus Fly or the Blackburn Outpost which can be mounted in this configuration. 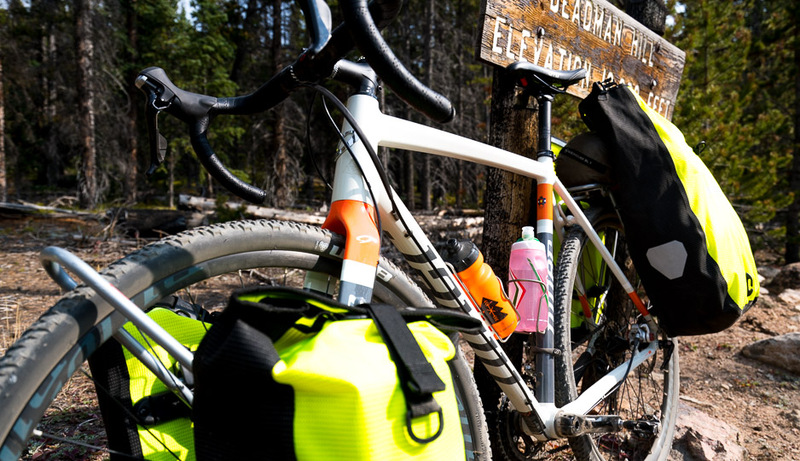 Mid-mounts on the carbon fork now allow you to carry your gear on front racks. 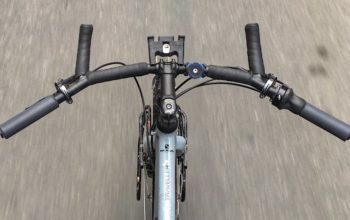 A seatstay bridge mount acts as a support for both the rear fender and rack. Niner have also upgraded from quick release to a 12mm rear axle that slides into a nice forged dropout on the alloy frame. Having thru axles front and rear on the bike provides both a stiffer and safer hub interface, as well as less rotor rub under load. One of the biggest changes to the RLT alloy frame is a 12mm thru axle. 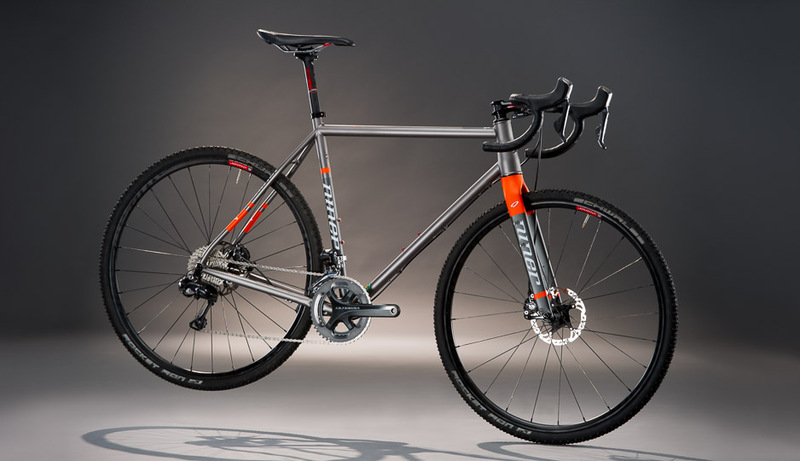 The geometry of the 2016 Niner RLT is not too dissimilar to a touring bike. A slack head angle with a short fork rake combines to achieve a high fork trail of around 70mm. This characteristic favours stability over agility, allowing the bike to handle high speed riding on gravel roads. 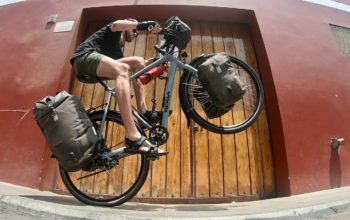 The chainstays are on the short side for rear pannier usage, but adjustable bags and the right rack should keep enough clearance. 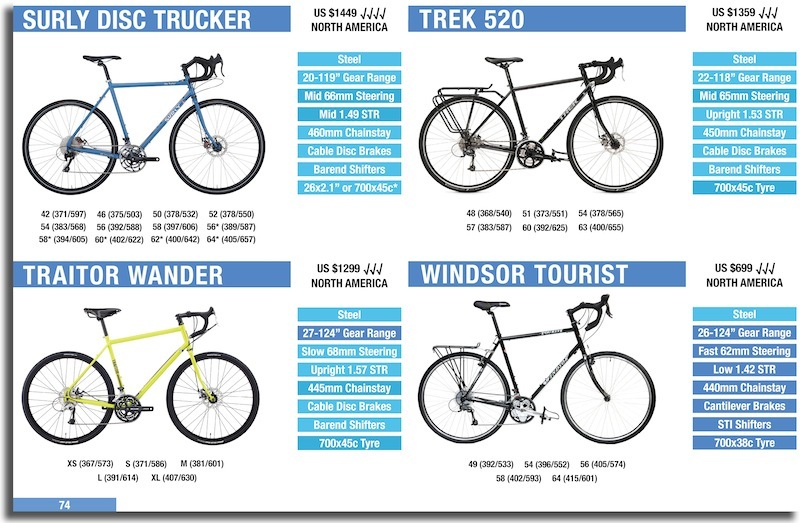 The headtube lengths fall between a cyclocross bike and touring bike; you’re looking at the wrong bike if you want a really upright position. 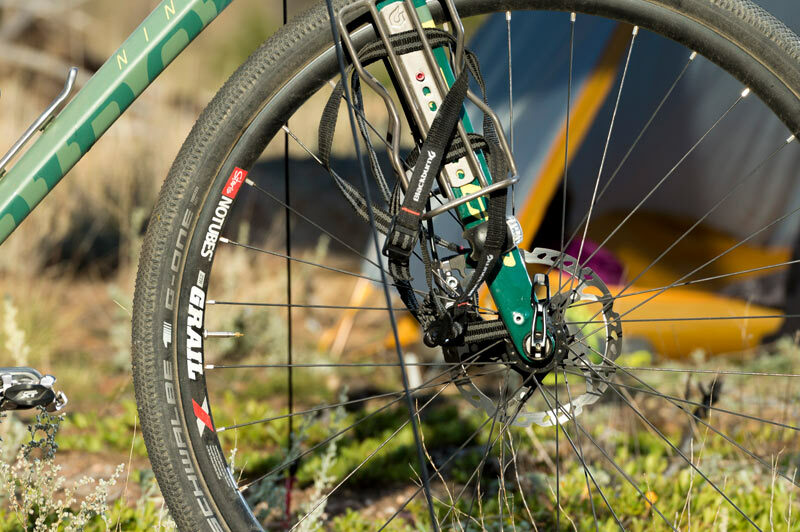 The 2016 Niner RLT9 can squeeze in 700x45mm rubber, and has provision for fenders. 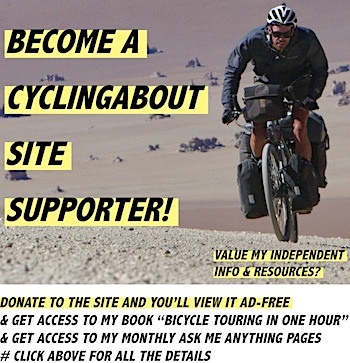 There are three bidon mounts on the steel frame, and two on the alloy. 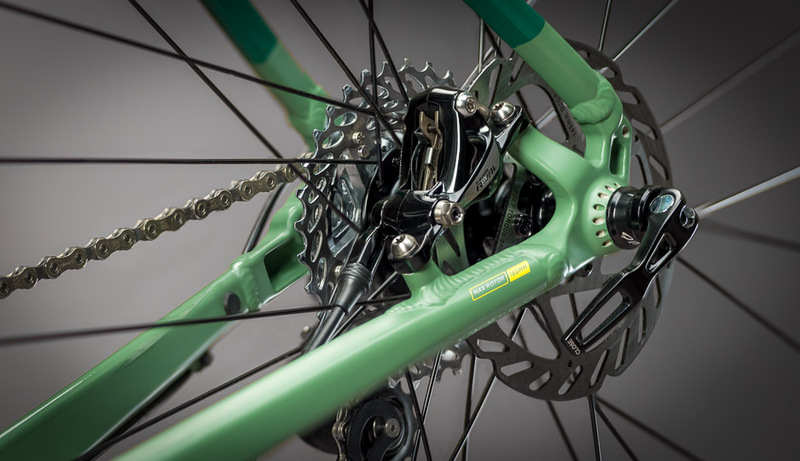 The RLT build kits comes with cyclocross chainrings (46x36t) and 11-32t cassettes. 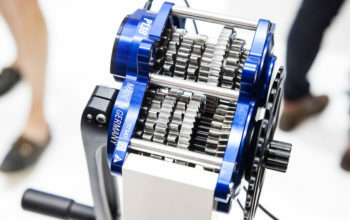 The lowest gear works out to be around 31 gear inches which should be good to get up most roads under 15%. 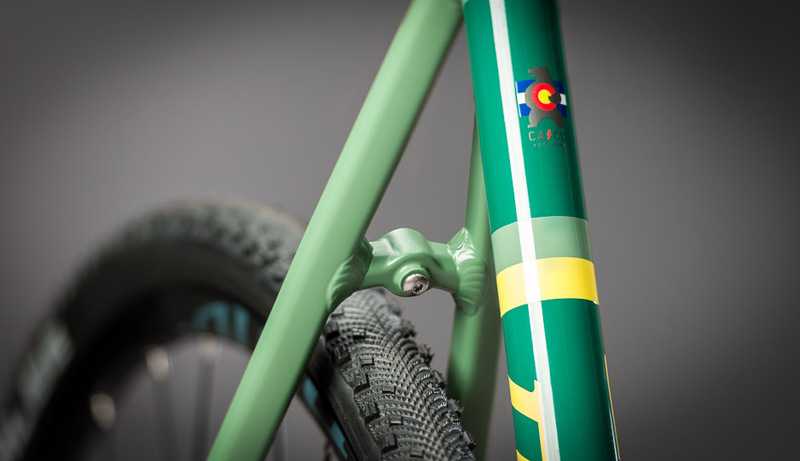 The RLT9 alloy will come in Green/Canary Yellow and White/Gray/Orange. It’s available as a frameset (frame, fork, headset, seatpost collar) or as a complete bike with four different builds depending on your budget. The Niner carbon fork with mid-mounts can be purchased by itself for US $250.